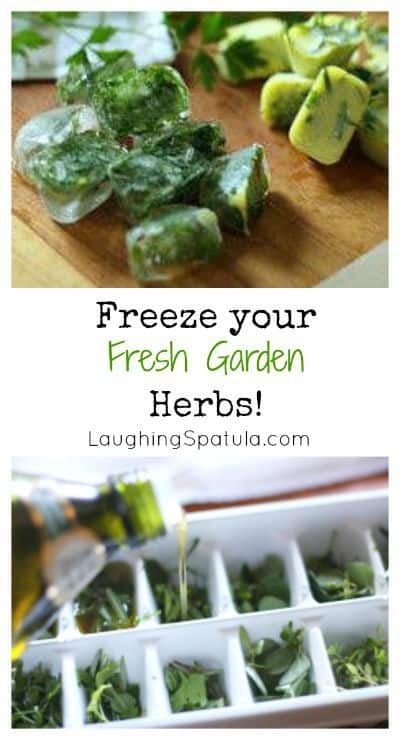 Hate to see all those fresh herbs in your garden go to waste? Check out this unique idea! I am not much of a gardner but I have somehow managed to grow an abundance of herbs every year! As the season comes to an end and I watch my beautiful plants shut down for the winter, it just breaks my heart! 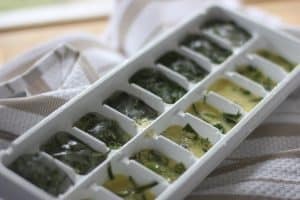 So I used an old ice cube tray (does anybody really use these things anymore?). I made several batches. 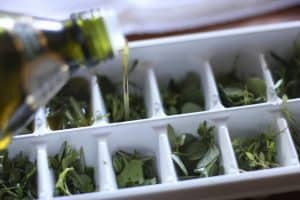 One with water for when I want herbs but no oil and one with a good olive oil. I toss them in soups and sauces. I only wish I would have made more! 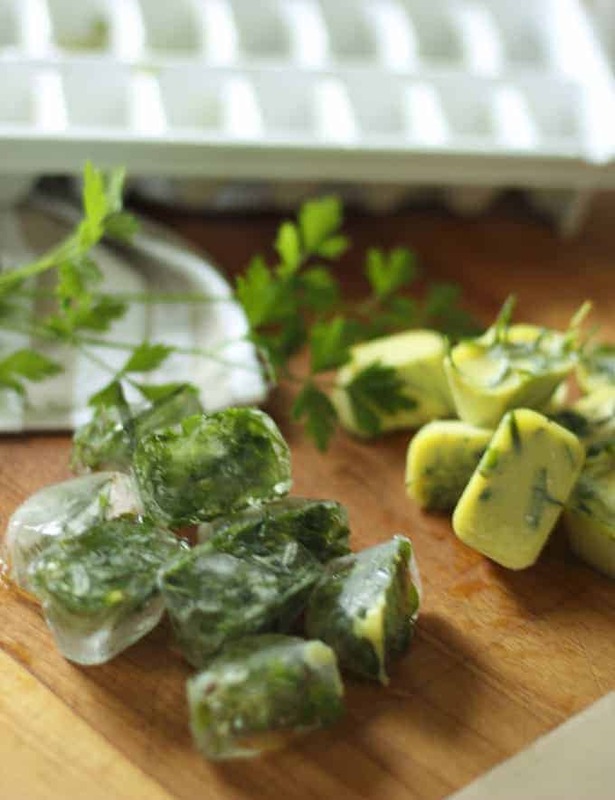 Next time you need a little herby boost in your pot of something yummy…throw one in! Loved this idea! 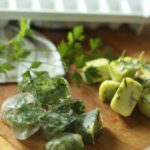 Use this method to freeze herbs to use in soups and sauces all year long! Press fresh herbs into ice cube tray.